LLNL's role in Counterterrorism began nearly 30 years ago with the formation of the Nuclear Emergency Search Teams (NEST) and the related Nuclear Assessment activities. Today, our Counterterrorism programs cover a wide range of programs and sponsors, from threat and risk assessments, to detection of threat materials, to understanding and mitigating the consequences of attacks, to forensic analysis, to aid in the attribution of responsibility. 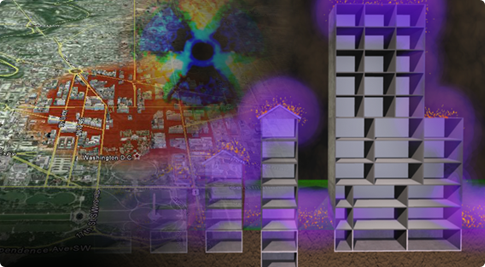 Our work encompasses chemical, biological, radiological, nuclear, and high-explosive threats. Our customers include the Department of Homeland Security, the Department of Agriculture, the Department of Justice, the Department of Commerce, state and local governments, and non-governmental organizations. In addition, Counterterrorism programs are also supported by the Department of Energy/National Nuclear Security Administration and Department of Defense (e.g., Defense Threat Reduction Agency and the National Guard). Today's programs take advantage of significant historical investments by the DOE/NNSA in key infrastructure and most importantly in our multidisciplinary technical staff. Together these capabilities provide a major component of the nation's defenses against the catastrophic threat posed by the malicious use of weapons of mass destruction. 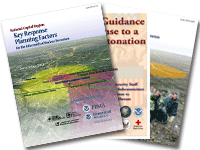 Considerable guidance and information on response to an IND have been recently published by the Federal government, national scientific councils, and other organizations. On May 19, 2011, the UPMC Center for Biosecurity conducted a meeting on Advancing U.S. 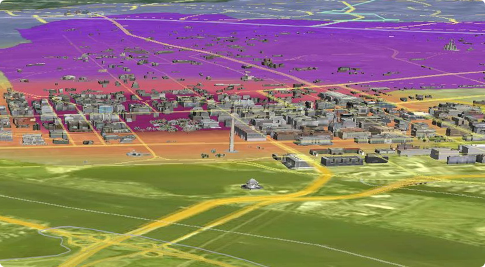 Resilience to a Nuclear Catastrophe, in which Brooke Buddemeier, Global Security Directorate of LLNL, discussed "Bounding the Problem: Updated Models of the Effects of a Nuclear Detonation in a Major City." This conference focused on policies and new proposals to strengthen the capacity of major U.S. cities, and the nation as a whole, to withstand a nuclear catastrophe.